Another fantastic year is close to the end. I would like to say thank you to all of you for the magic time spent together and for the love you always show for our program. It has been a great year full of surprises. Minitalia Lab also had an unexpected number of fantastic reviews from different Italian and Australian medias. We have been surprised and delighted with very generous words about Minitalia Lab’s program. The real achievement for us has been to see all our Mini-Explorers smiling and sharing with love this wonderful journey with us. The children have again amazed me with their unique imagination and creativity they all have discovered a new world. Children understand intuitively that language is something to explore, to play with and enjoy. The speed which they pick up a new language is miraculous and such a joy to watch as an educator. Bilingual children are reported to have a larger density of ‘grey matter’ in their brain. Grey matter is responsible for memory, speech, sensory perception and the processing of information. Learning a second language stimulates thought processes, reasoning skills, early reading and an increased self-esteem. It also promotes awareness of other cultures and diversity. Studies have shown that becoming bilingual increases the ability to solve complex problems, which benefits a child’s academic pursuits. Learning a new language is a unique and rewarding experience. 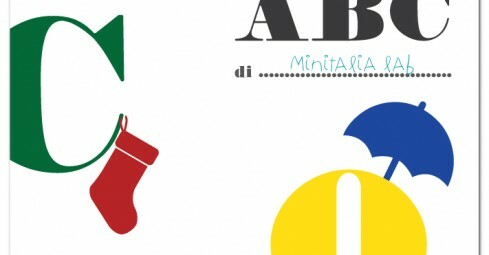 The workshops at Minitalia Lab provide the first steps towards learning Italian. They are also designed to encourage a broader passion for learning in general. I have seen many of my Mini-Explorers growing during these years and starting as early as 4 months it has definitely given them the confidence soars to discover the world. This year we also have opened a new workshop, the 5 to 8 years old group which has been a real blast and I would love to congratulate with all of you for the incredible job you have done. Bookings for workshops 2016 are now open and we really look forward to have a new adventure with you all.